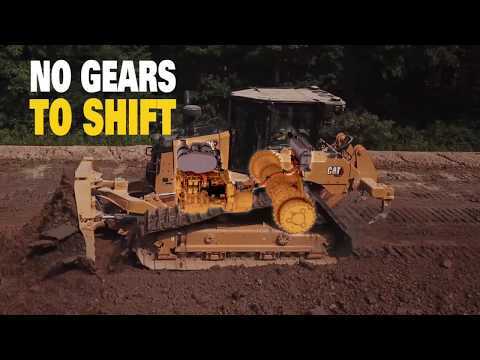 The Cat® D6 XE is the world’s first high drive Electric Drive dozer. Next-generation technology allows constant power to the ground, greater agility and faster cycle times with up to 35 percent better fuel efficiency and reduced maintenance costs. A choice of technology features adds to ease of operation by saving time, material and effort. • Simpler - almost 90 percent fewer rotating parts than a traditional power train • Next generation Electric Drive technology: Switched Reluctance system with simple, more robust rotor design • New C9.3B engine eliminates Exhaust Gas Recirculation (EGR) system for greater reliability; Simplified with a single engine Electronic Control Module (ECM) and improved engine air filter • Redesigned fuel system provides greater reliability and more accurate fuel delivery • New Heavy Duty Extended Life undercarriage – HDXL with DuraLink™ – offers up to 20 percent more seal life in high impact conditions • Common structures for Heavy Duty and SystemOne™ undercarriage enable changes from one to the other • Purpose-built Waste and Forestry arrangements Note: Maintenance comparisons to D6T over initial 10,000 hours of operation. Note (2) All non-road Tier 4 Interim and Final, Stage IIIB, IV and V and Korea Tier 4 Final diesel engines are required to use only ultra-low sulfur diesel (ULSD) fuels containing 15 ppm (mg/kg) sulfur or less. Biodiesel blends up to B20 (20 blend by volume) are acceptable when blended with 15 ppm (mg/kg) sulfur or less ULSD. B20 should meet ASTM D7467 specification (biodiesel blend stock should meet Cat biodiesel spec, ASTM D6751 or EN 14214). Cat DEO-ULS or oils that meet the Cat ECF-3, API CJ-4, and ACEA E9 specification are required. Consult your OMM for further machine specific fuel recommendations. All non-road Tier 4 Interim and Final, Stage IIIB, IV and V and Korea Tier 4 Final diesel engines are required to use only ultra-low sulfur diesel (ULSD) fuels containing 15 ppm (mg/kg) sulfur or less. Biodiesel blends up to B20 (20 blend by volume) are acceptable when blended with 15 ppm (mg/kg) sulfur or less ULSD. B20 should meet ASTM D7467 specification (biodiesel blend stock should meet Cat biodiesel spec, ASTM D6751 or EN 14214). Cat DEO-ULS or oils that meet the Cat ECF-3, API CJ-4, and ACEA E9 specification are required. Consult your OMM for further machine specific fuel recommendations. Note (3) Diesel Exhaust Fluid (DEF) used in Cat Selective Catalytic Reduction (SCR) systems must meet the requirements outlined in the International Organization for Standardization (ISO) standard 22241. Diesel Exhaust Fluid (DEF) used in Cat Selective Catalytic Reduction (SCR) systems must meet the requirements outlined in the International Organization for Standardization (ISO) standard 22241. Note (4) Basic machine specs provided below. For complete specifications and dimensions by configuration, blade and track shoe offerings and more, please visit the product download section to view the full D6/D6 XE Technical Specifications. Basic machine specs provided below. For complete specifications and dimensions by configuration, blade and track shoe offerings and more, please visit the product download section to view the full D6/D6 XE Technical Specifications. Note The air conditioning system on this machine contains the fluorinated greenhouse gas refrigerant R134a (Global Warming Potential = 1430). The system contains 1.36 kg of refrigerant which has a CO2 equivalent of 1.946 metric tonnes. The air conditioning system on this machine contains the fluorinated greenhouse gas refrigerant R134a (Global Warming Potential = 1430). The system contains 1.36 kg of refrigerant which has a CO2 equivalent of 1.946 metric tonnes. Take a look at the D6 XE side by side with other models. 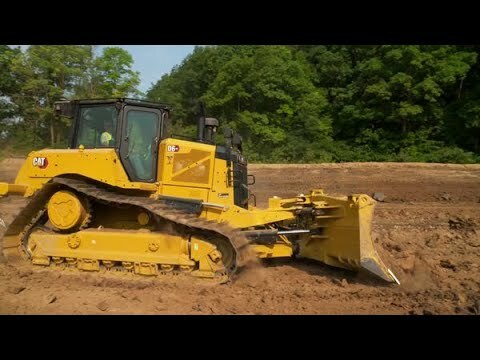 Browse through these photos and videos for a closer look at the D6 XE and what it can do for your operation. 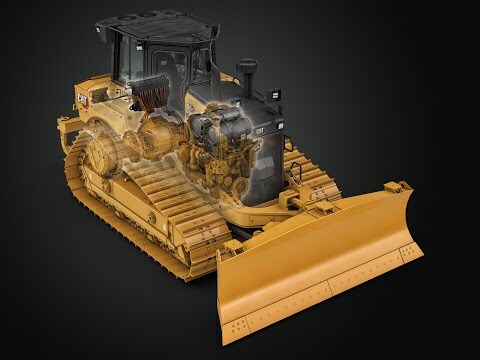 Explore the D6 XE in all its glory through the best 3D and 360° experience in the industry. View key features and benefits and picture yourself in the machine at the jobsite before ever walking into a dealership. Wherever you want to go from here, the D6 XE is ready. You can get in touch with us in a variety of ways. Check out our inventory of new, rental and used equipment. Connect with your local dealer, ask our experts for advice or read what's happening in the customer forums.